As mentioned in the last post about beauty shopping in Brighton, I recently visited skincare specialists Kiehl’s to find out what’s new with the brand. Kiehl’s was founded by John Kiehl in 1851 in a pharmacy in Manhattan. Although it’s now owned by the French L’Oreal group, they haven’t interfered with a recipe that clearly works. Hence the brand’s stores still feel like you’re stepping into a New York pharmacy. Kiehl’s is an unusual company for me in that it’s one of the few brands I’ve made repeat purchases from. Normally, no matter how much I like a product, once I’ve used it up I assume there will be something newer and better on the market, so I tend to seek those out rather than sticking with old favourites. I’ve gone through several tubs of this, it’s just the best thing for moisturising hair that’s gone a bit dry and frazzled. A lovely shampoo that smells of coconut and leaves your hair super soft. This used to be the cool lip balm to be seen with, before it got slightly usurped by Lanolips. You only need a tiny bit and it lasts forever. Like the lip balm, this is a classic that’s been around for decades. A lovely rich body lotion that’s creamy, not at all greasy and will keep you hydrated all day. The staff in Kiehl’s, Brighton are incredibly friendly and well-informed about the brand and all things skincare. They gave me a skin consultation that was very informative and useful – call in and say hello and they’ll give you one too. A newish product which caught my eye was the Daily Reviving Concentrate, a lightweight facial oil which is a daytime version of the classic Midnight Recovery Concentrate. 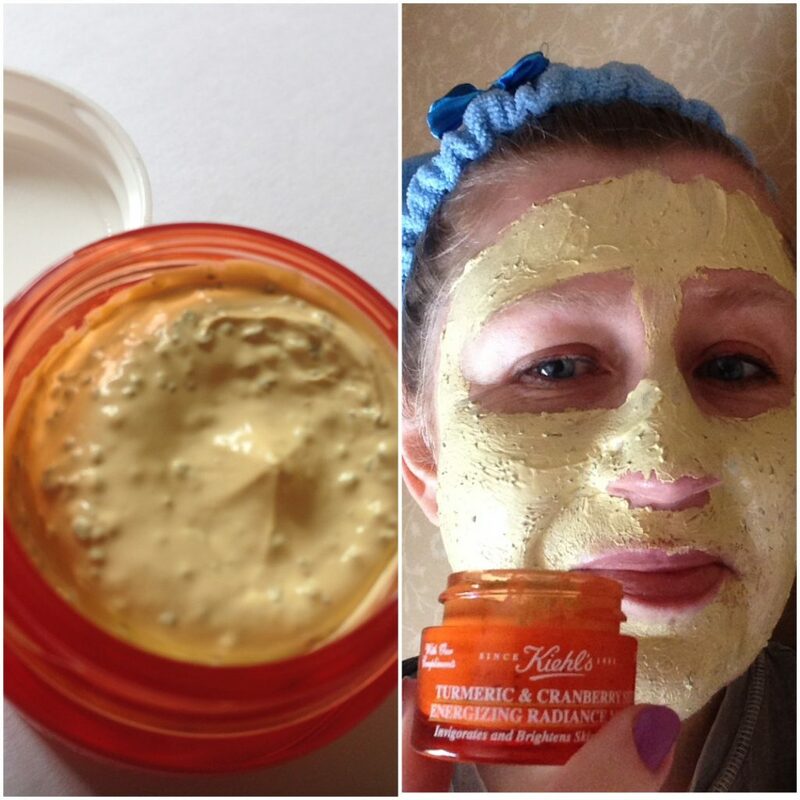 I also liked the superfood special that is the Turmeric & Cranberry Seed Energizing Radiance Masque. This product was just named by The Guardian’s Sali Hughes as one of her best beauty buys for people in their twenties, so since I am in my forties it should be twice as good for me. Cover your cleansed face with a thin layer of the product and wait for five to ten minutes. 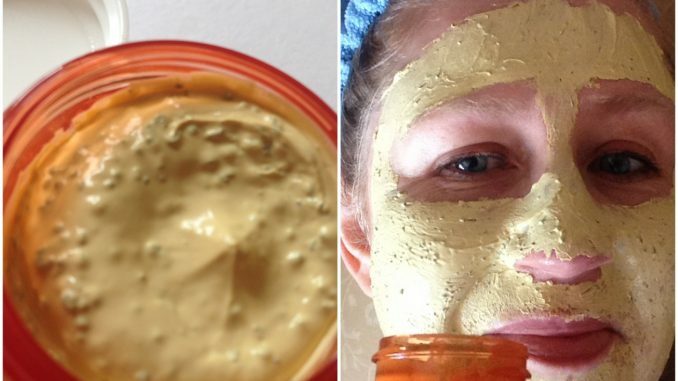 The creamy, clay-like mask might partially dry out in that time but not completely. Then add warm water and massage your face so that the cranberry seeds can exfoliate as the mask is removed. Used plenty of water to remove the rest of the mask – this will take a few minutes, but that’s always the case with clay-type masks. I have seen some reports of people having trouble removing the cranberry seeds but I can’t say that was a problem for me. Leaves your skin smoother, brighter and softer. Just what the doctor ordered! 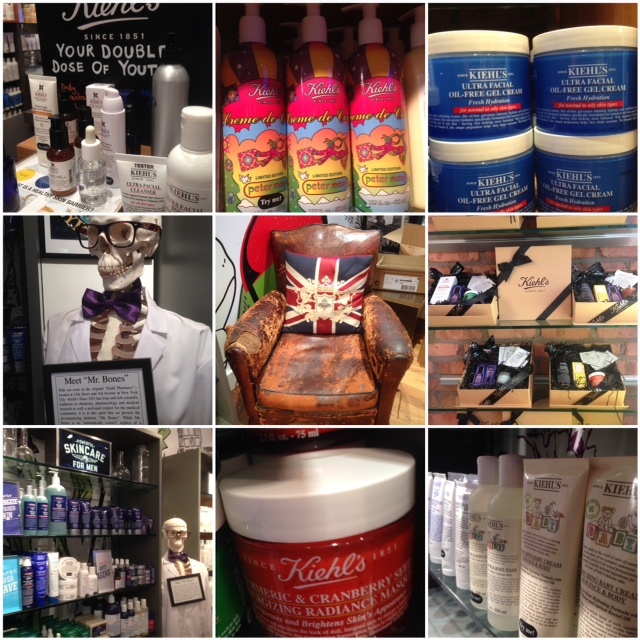 Kiehl’s have branches all over the UK and worldwide, or you can find them online here. I visited the Brighton branch at 22 Dukes Lane. Have you tried anything from Kiehl’s? What would you recommend? Or what would you like to try out? Please leave a comment, I love to hear what you think.